I love tassels. Its pretty much rolled up fringe, and we all have noticed that I'm loving all things fringed so it should come as no surprise that I love tassels too! I feel like all is right with the world when the current trends line up with things I already gravitate towards. But, the end all be all, the bees knees, the cats pajamas, or whatever you wanna call it, is when what you love has become trendy AND just so happens to be an easy 20minute DIY craft project. JACKPOT!! Now that's a good day! I bought a pink Hermes tassel keychain as a souviner while on a trip to St. Barth in 2012. 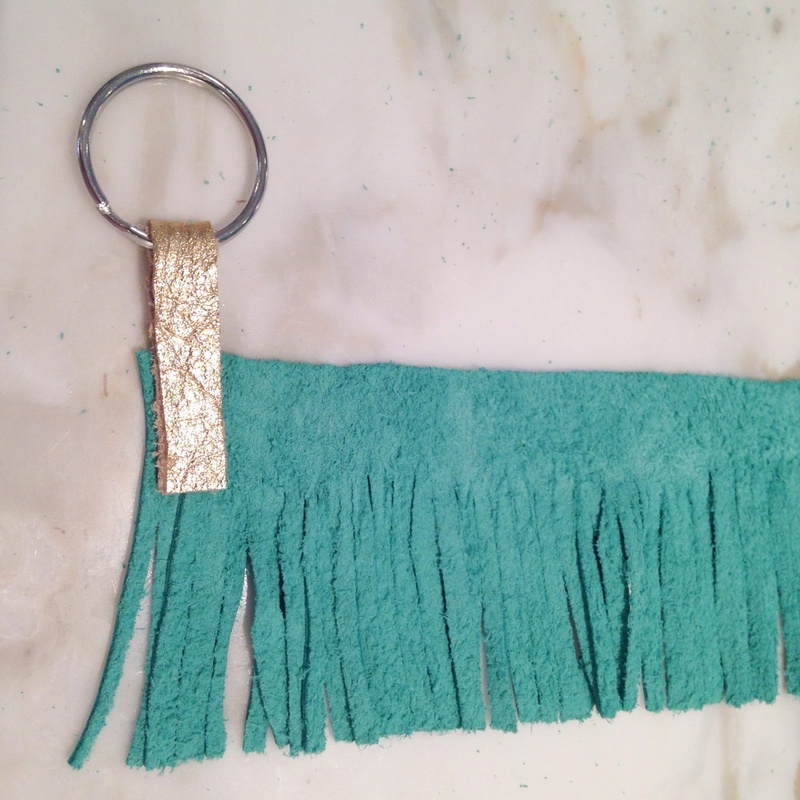 She's looking a little drab, and worse for the wear, but I have loved having a tassel key ring. It's been the perfect size - large enough to find in the bottom of a giant purse, but also small enough to hang out of your pocket comfortably. 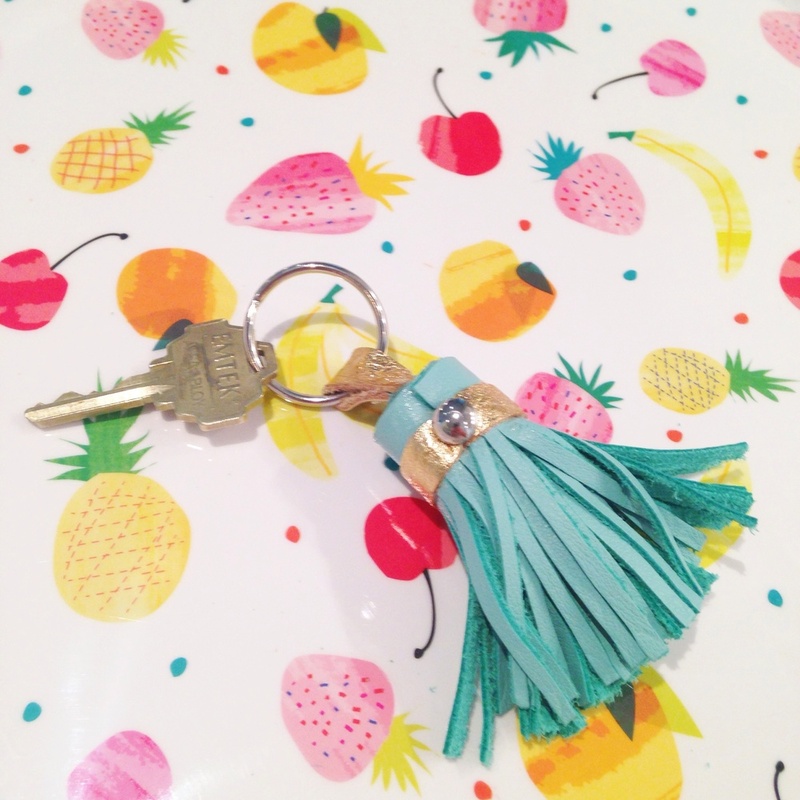 Using my own key ring as a guide, I crafted my own tassel keychain - FOR A LOT LESS! Total cost was around $30. Can't beat that! I found this particular glue to be a sticky, stringy mess. It worked, but I might try another brand next time. Just look for a glue that will work with leather. I also ended up not using the small leather strips pictured. 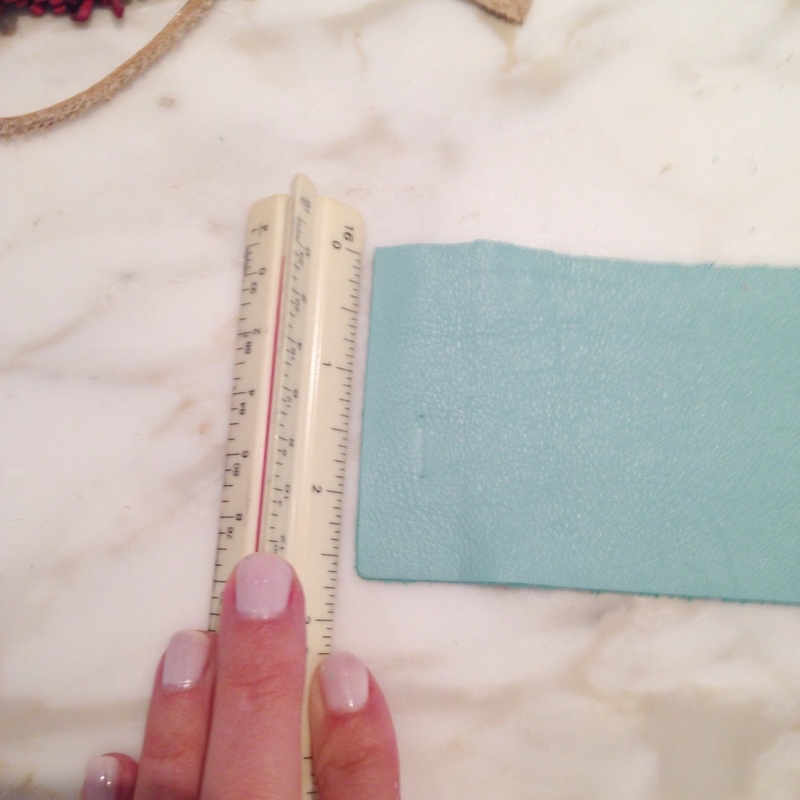 First, I cut about a 3" x 11" piece of the aqua leather. Then I cut the smallest fringe strips I could, leaving about 1/2" wide uncut band at top. Then I cut a 1/2" strip of the gold leather to use to attach key ring. Fold over and glue to secure. 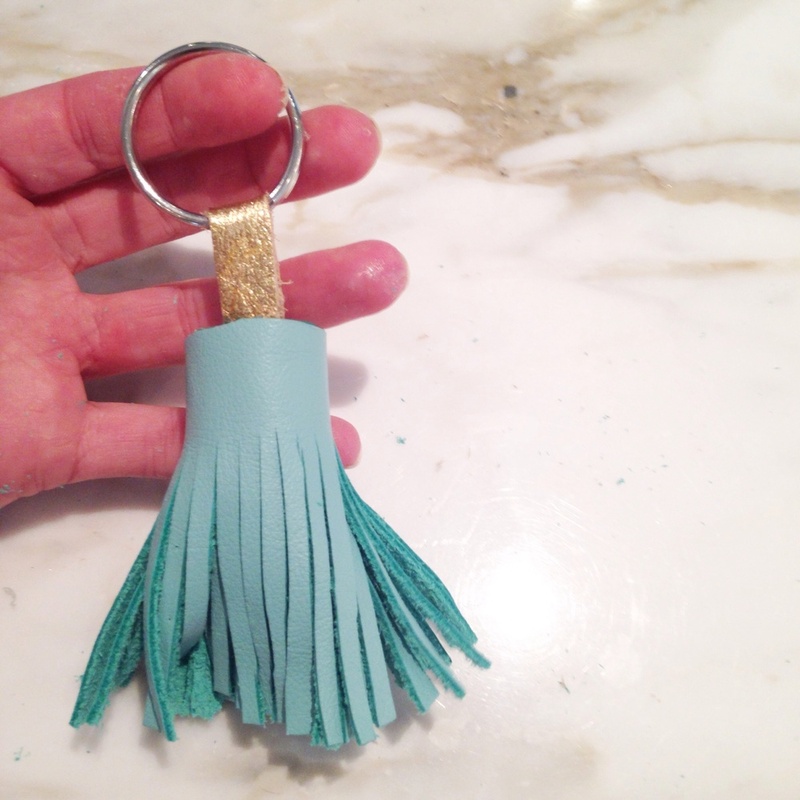 Then place key ring strip inside the tassel leather and glue in place. Tightly roll tassel leather, gluing as you go, making sure to line up edge evenly. Then I cut another 1/2" strip of the gold leather to trim at the top. The helps hide any unevenness in where your fringe strips stop. I glued it in place and finished it off by sticking the silver nail head in the seams. It's that easy!! Looks pretty good, if I do say so myself! I hope you try it! The possibilities are endless! How cute would this look as a little charm on a little one's back pack?! *Bonus* Super fruity tray on sale at Target for $4.50!